Nancy is a licensed clinical social worker with extensive experience in cognitive behavior therapy (CBT), dialectical behavior therapy (DBT), social problem-solving, motivational interviewing and supportive psychotherapy. Under the tutelage of Katherine Shear, M.D., Nancy provided complicated grief treatment for patients suffering with complicated grief in an NIMH study administered at the New York State Psychiatric Institute from 2007 – 2015. Treating patients who are suffering with complicated grief has become an important focus of Nancy’s work as a clinician. Nancy has devoted herself toward understanding and treating the syndrome of complicated grief. Upon completion of the study, Nancy continues to provide Complicated Grief Treatment to individuals who are experiencing obstacles to the adaptation of loss. Additionally, Nancy conducts training workshops at The Center for Complicated Grief to train mental health practitioners who are interested in becoming complicated grief therapists. During 2012, Nancy Turret and Katherine Shear traveled to Japan to consult and provide workshops for mental health clinicians who were treating the victims of the earthquake and the tsunami. 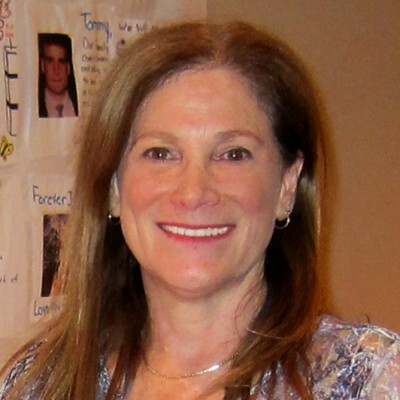 During the past thirty years, Nancy Turret has been a senior clinical and research psychiatric social worker at The New York State Psychiatric Institute at Columbia University Medical Center. Throughout the years, Nancy worked on a variety of in-patient units as well as out-patient departments. Presently, Nancy provides clinical and research services to the Healthy Aging and Late life Brain Disorder Program. Nancy authored a paper called “Collaboration of An Internist and a Social Worker in a General Practionaire’s Office,” which Nancy presented at the Annual American Psychiatric Association Meeting, 2003. Numerous additional papers were co-authored by Nancy addressing a variety of issues in treatment of depression. During 2011, Nancy co-authored and presented a paper, “Complicated Grief Treatments; A Social Work Perspective” at the International Conference for the Advanced Professional Practice of Clinical Social Work in Williamsburg, Virginia. Another paper titled “Complicated Grief Treatment: Implementing Treatment Strategies” was co-authored by Nancy Turret and Katherine Shear, M.D. Nancy presented this paper at an international conference in Reykjavik, Iceland in July 2013. A chapter describing grief-monitoring techniques that was co-authored by Nancy Turret and M. Katherine Shear was published in Neimeyer’s book on grief techniques. As an Instructor in Clinical Psychiatric Social Work at Columbia University and New York University, Nancy Turret has trained medical students and residents and graduate students in social work in a variety of rating scales and instruments utilized in numerous research protocols. Additionally, Nancy has taught graduate social work students with Dr. Shear at Columbia University School of Social Work. Nancy has also taught Adult Psychopathology at Columbia University Graduate School of Social Work as an adjunct professor.